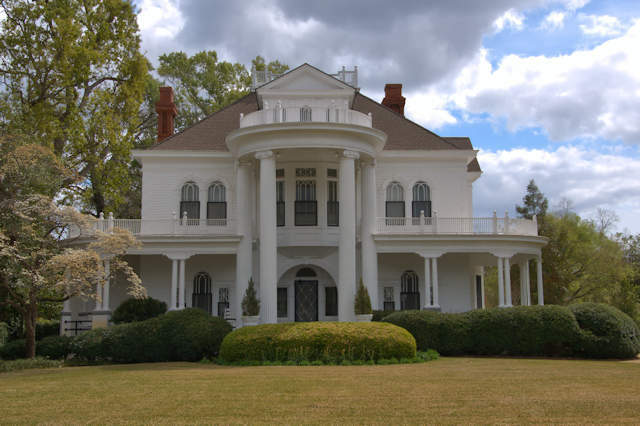 I’ve been unable to locate much information about this magnificent house but I’ve learned that after the Smith family, it was owned by the Rentz, Corker, Curry and Lovett families. My grandmother was raised in this house. She was born in 1909. Her father was Frank Corker, my great grandfather. Frank Corker’s father was Stephen A. Corker. I have written a book about his letters which detail a young lawyer who gets married and then off to fight for the South. He was Captured at Gettysburg. I have an original picture of this home if you would like me to send to you in jpeg form. Bellevue was a dirt road in the picture. Try Griffin Lovett at the Courier Herald. His dad owned the house. Scott Thompson most likely can give you a background on this house. He is our local historian. My Smiths lived in Dublin GA but I don’t know if they may have owned this house. I rather doubt it. Please someone love, protect, and share this awesome piece of history with the future generation? !